or when working in the round as for granny squares or amigurumis. An increase can be made in any type of stitch: single crochet, double crochet, treble crochet…. 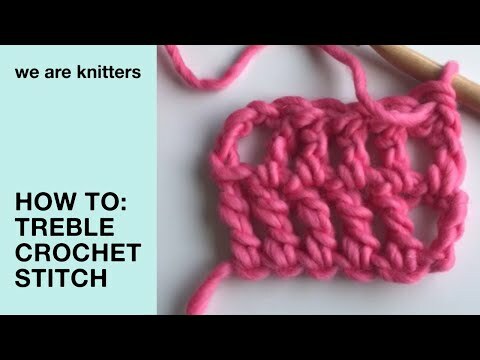 It is a very easy technique to learn in crochet because it only consists of working two stitches into the same stitch. Work 1 single crochet into the stitch indicated in the pattern as shown in the video “How to single crochet”. Now work another single crochet by inserting the hook into the same stitch that you worked the previous single crochet. As you can see, there are now two stitches in one stitch, so this row will have one more stitch than the previous row.Once you have worked the increase continue working as indicated in the pattern.